Everyone loves hostas! They flower in whites and lavenders. For a moon garden, 'Aphrodite', with its large blooms, would be an excellent choice. Hosta's fragrance also tends to be at its most during the evening hours. 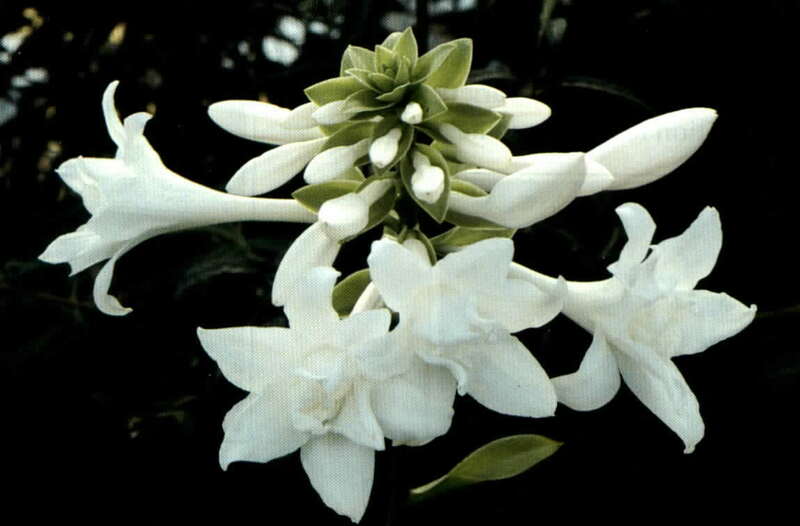 Of course, if you can not find this variety any white blooming one can be substituted.